So it’s been a BIG week for me and NEW TOOLS!!! This one I knew about as I had ordered it online from Phil Poburka at Bison Studios. 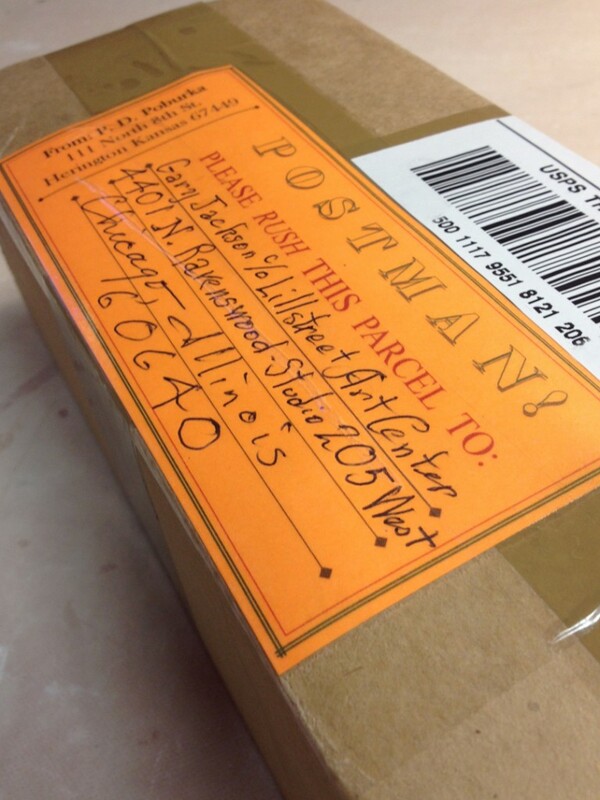 But so excited to see them finally arrive… in such a fancy box no less! So you may have heard me talking about these before. I have coveted these tools for quite awhile. And was lucky enough that some of my students were “actually listening to me” and picked up on it. 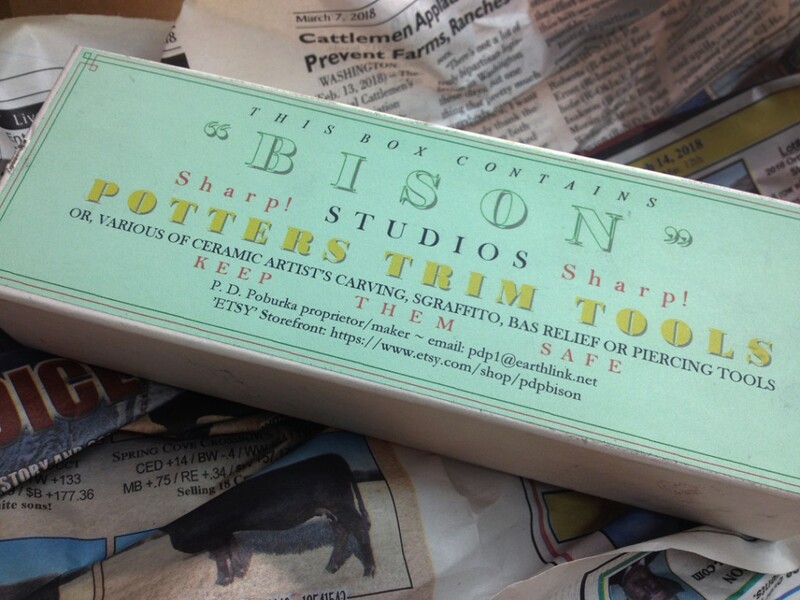 At the end of last session’s “Lillstreet Throwdown” class, my students presented me with an AMAZING Thank You Gift Certificate for these Bison Tools!!! Have I mentioned lately that I have the BEST STUDENTS EVER!!! Anyway, so I went on line to order my Bison Trimming Tools. 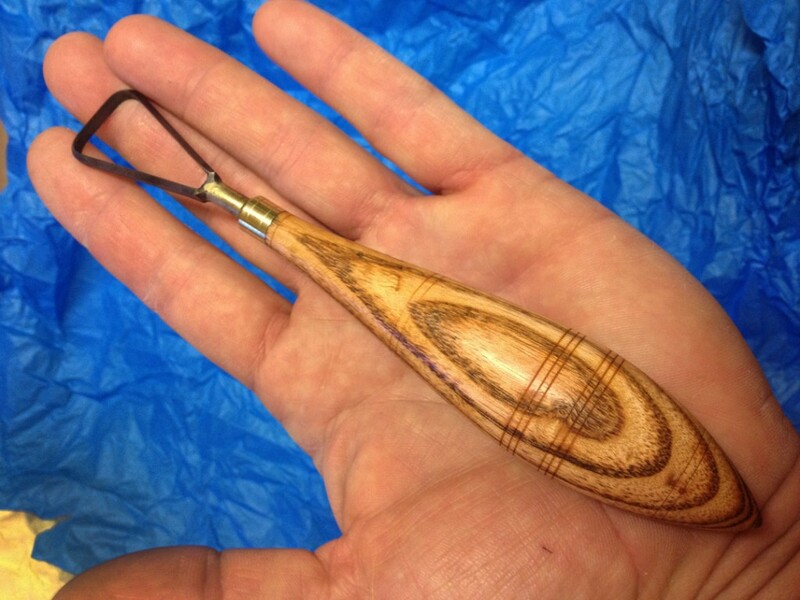 They’re all handmade with beautifully hand-turned handles. In fact, when you open the box you are stuck by the soothing smell of fresh-cut wood and some sort of oil. Wonderful. And then the blades themselves are made out of tungsten carbide. So much stronger than the usual ones that dull down so quickly! 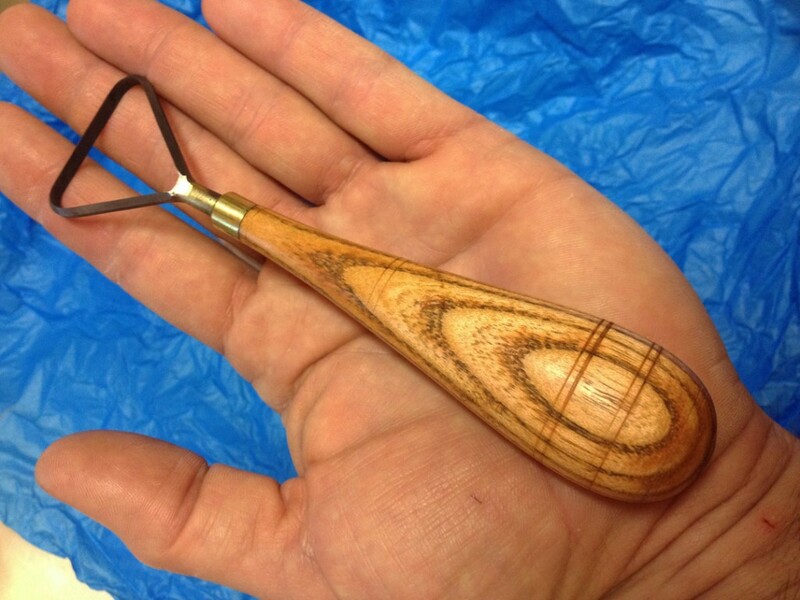 Guaranteed to be the sharpest trimming tools ever!!! 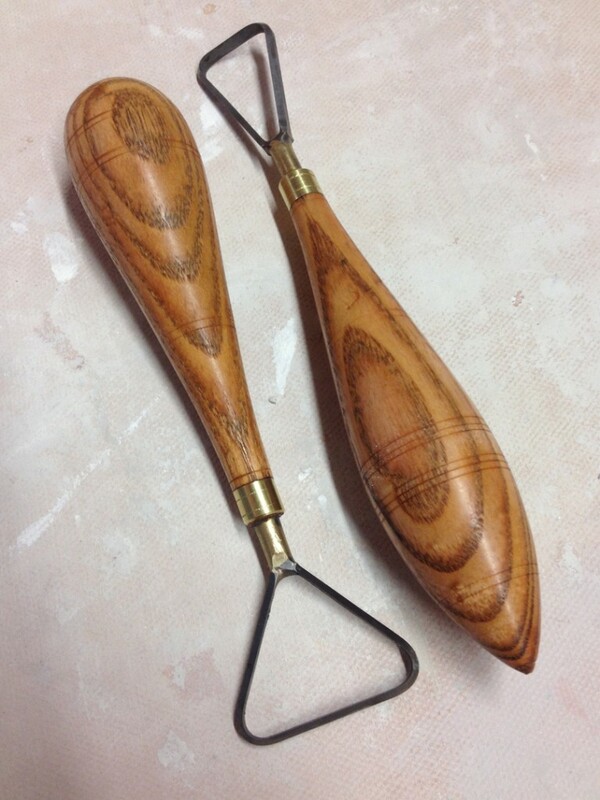 So I went with two similar ones… most like my favorite Kemper tools. But I got them in the two different blade sizes he offers… standard and narrow. 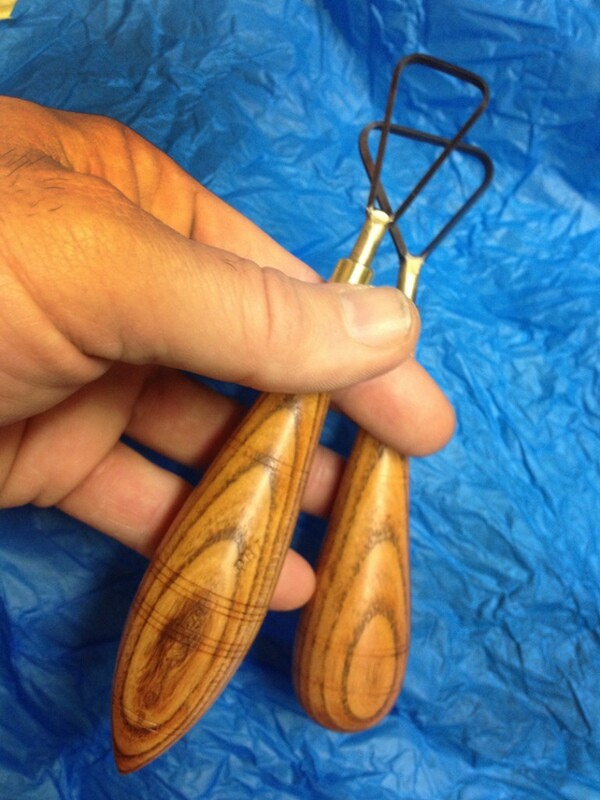 Each with some beautiful woodgrain and different handles shapes! about what it’s going to feel like actually trimming with a sharp tool? Who amongst us hasn’t been trimming with dull blades for years??? And again, HUGE THANK YOU to the most amazing students ever!!! And if you’re lucky, I’ll even share… and let you give them a test drive!